A Ferrari salesman has found himself behind bars for trying to fool speed cameras. Nicholas Burke, 46, from York was discovered using a laser jammer on his company car, a BMW 335D, when he passed a North Yorkshire Police safety camera van. The laser jammer activated a giveaway code on the police speed camera. He pleaded guilty to the offence and was jailed for two months at York Crown Court. A spokesman for North Yorkshire Police, said: "As Burke's prison sentence shows, the courts take a very dim view of people who use jammer devices to pervert the course of justice. As such, we have a duty to investigate when we think someone has used one illegally and we will uphold the law. So if you use one of these devices in North Yorkshire there is a very strong chance you will be caught." He added: "The purpose of our enforcement fleet is to reduce road casualties. Therefore to use such devices to interfere with speed enforcement, one of the main four causes of fatal and serious-injury collisions, increases the risk to everyone else who uses the county's roads, and the communities they represent." A police statement read by the judge said: "North Yorkshire has historically suffered from a high number of road traffic collisions, unfortunately resulting in the loss of life or resulting in life-changing injuries to users of the vehicles involved. It's not only the victim who suffers, but families, witnesses and communities. 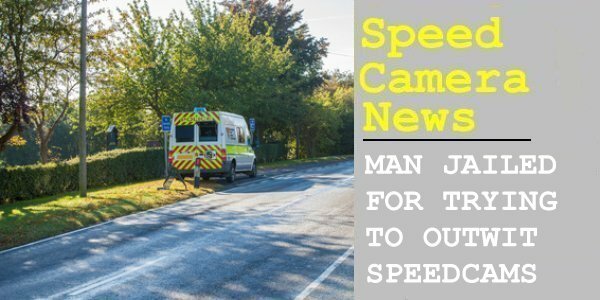 The primary purpose of safety camera vans is to reduce road traffic collisions by enforcing a range of road traffic offences such as speeding, using a mobile phone and failing to wear a seat belt."